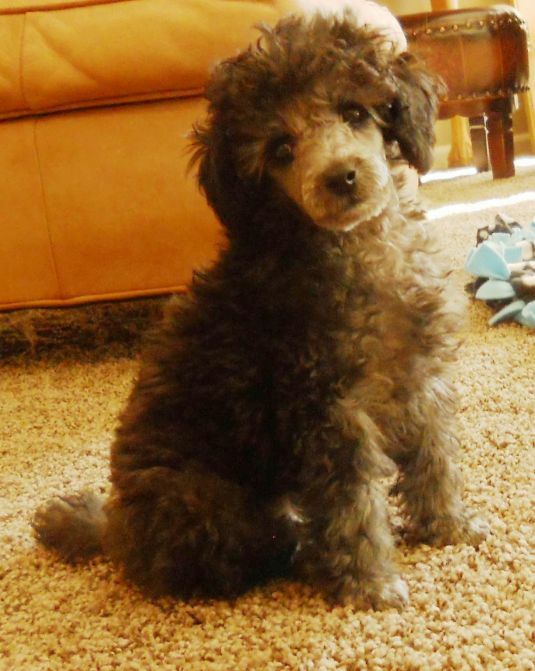 Finn is a silver colored Mini Poodle puppy. His coat will get lighter the older he gets. He loves to run, jump, climb, and cuddle. He is so spoiled! OMG!!!! What a sweet baby with a precious face! 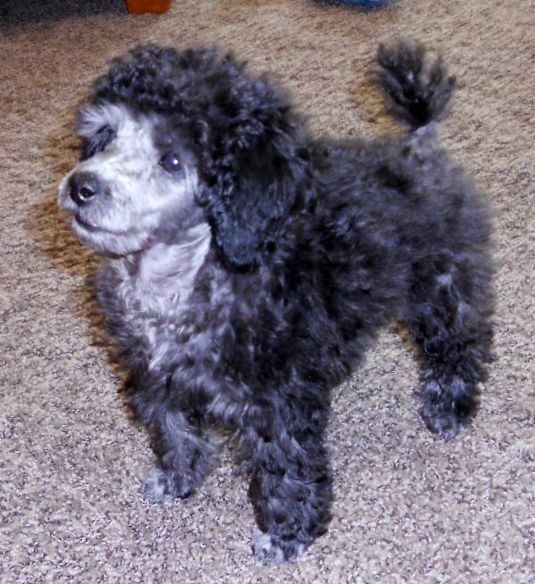 I love poodles!!!! This is my puppy Finn. He loves to cuddle with me every night. I hope you enjoy the pictures my sister put on this site of our little guy. He does have great conformation. And what a strong face this little guy has. He's adorable! And he just looks like a ton of fun!